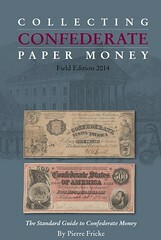 NEW BOOK: COLLECTING CONFEDERATE PAPER MONEY, 2014 ED. 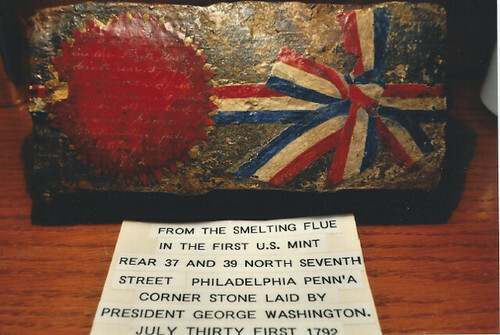 A PHILADELPHIA MINT CHIMNEY BRICK? New subscribers this week include Sanjiv Gupta and Bruce Bartelt. Welcome aboard! We have 1,684 email subscribers, plus 256 followers on Facebook. This week we open with three new numismatic books, two periodicals and one book review (shades of Twelve days of Numismatic Bibliomania)! Other topics include the Eric P. Newman Collection, Part III, Rittenhouse Clocks and Fugio Cents, an original Confederate cent, rare book thefts, physical Bitcoins, City View coins, and postcards in numismatics. To learn more about Robert M. Patterson and the Seated Liberty coin design, the true purpose of the $3 Gold coin, valiant attempts to prevent gold and silver from falling into the hands of an invading Japanese Army in WWII, medals and tokens of the Crystal Palace, Eric Newman's coin-buying journey through the Khyber Pass and the Kennedy Dollar, read on. Have a great week, everyone! 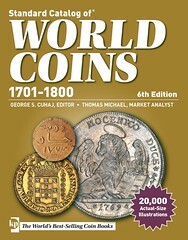 Standard Catalog of World Coins, 1701-1800, 6th edition. All prices needed to be reviewed as bullion values increased since the fifth edition. Extensive editorial material (descriptions and illustrations) have been added to the Austrian States, German States, Indian States, Italian States, Malta, Portugal, Russia, Spain and the new world colonies of Brazil and Mexico. CDs exhibit offered separately. Order at shopnumismaster.com or from your favorite hobby distributor. 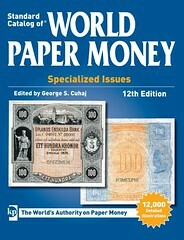 Standard Catalog of World Paper Money, Specialized Issues, 12th edition. Extensive price review for the vast number of Chinese issues, Canadian Provincial and Mexican Revolutionary issues. A full revision of Sweden is presented along with expanded illustrations. Confederate Paper Money Book—2014 Edition!!! Portable (6x9), 576 pages, quality hard back, full color. The major new things in this book are: Updated prices and rarity; PMG/PCGS pricing; new varieties and a variety roadmap for each type to make it easier to ID varieties; T-39-40-41 issuers and places issued pricing; Trans-Mississippi reissued notes pricing; Easy to use type picture ID appendix for beginners; updated commentary on the market; improved photo grade section. 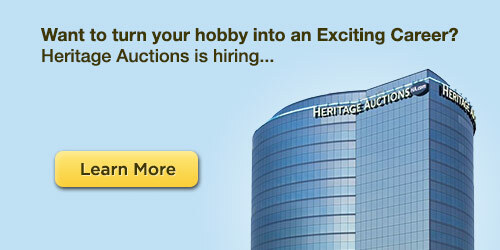 Stack’s Bowers Galleries offers an important employment opportunity for the right person. We are seeking an experienced numismatist in the American series—coins, tokens, medals, and paper money—to work with our “dream team” of catalogers, building on the tradition of the Ford, Eliasberg, Bass, Cardinal, Norweb, Battle Born and other great collections. If you can write in an authoritative and compelling manner with a high degree of accuracy, this may be just right for you! You will be working in Irvine, a modern community in dynamic Orange County, California—one of the finest areas to live. We offer generous benefits including medical and dental coverage, 401K plan, and more. Our offices are in our own modern, state-of-the art building with all amenities. 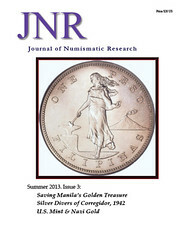 Issue #3 of the Journal of Numismatic Research (JNR) has just been released by Seneca Mill Press LLC. 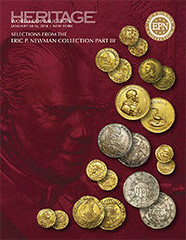 Copies may be purchased directly from the distributor, Wizard Coin Supply, Chantilly, VA www.wizardcoinsupply.com, or from leading coin dealers. This issue, Summer 2013, is devoted to the valiant attempts by Filipino and American military and civilian personnel to prevent gold and silver from falling into the hands of the invading Japanese Army at the onset of World War II. The successful voyage of the “golden ship” USS Trout from Corregidor Island to Honolulu with its ballast crammed with gold, received considerable publicity on the American Homefront. Several popular articles appeared during and after the war that outlined the general events but omitted, or altered many details for war-time consumption. The article beginning on page nine, presents the best modern research on the background, execution and conclusion of this amazing event. Copies of declassified relevant War Patrol Reports are included. 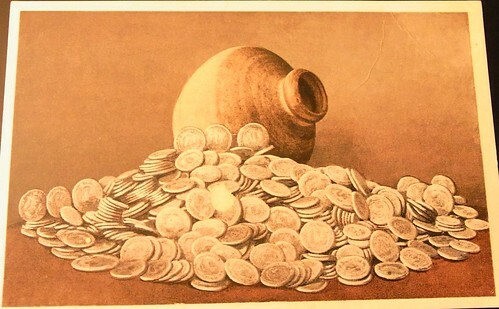 After all the gold and some of the Philippine silver were smuggled out on the Trout, a large quantity of silver coins remained. These were dumped into Manila Bay. The Japanese soon learned the location and conscripted American Navy divers to bring the money to the surface. This fascinating story of bravery and determination was unknown during the war and received little public attention afterward. This is the first comprehensive description and analysis of silver recovery. A closing feature reveals the U.S. Mint’s role in recovering Nazi looted treasure following VE Day, and provides the first numismatic estimates of American gold coins contained in the treasure. Issue No. 4 of the Journal of Numismatic Research (JNR) has just been released by Seneca Mill Press LLC. 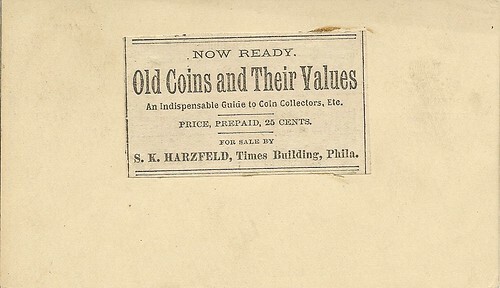 Copies for the 45-page volume may be purchased directly from the distributor, Wizard Coin Supply, Chantilly, VA www.wizardcoinsupply.com, or from leading coin dealers. 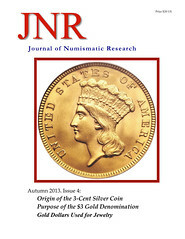 This issue of the Journal of Numismatic Research, Autumn 2013, features original research about two of the unusual denominations of American coinage: the $3 gold and the 3-cent silver coins. These enigmatic coins were authorized by Congress and dutifully struck by the mint for thirty-five years, yet they had almost no role in daily commerce. The first article, Origin of the 3-Cent Silver Coin, reveals details of how this first “postal currency” came about, and why it was initially produced in a non-standard silver alloy. A subsidiary 3-cent coin was proposed in 1850 by Senator Daniel S. Dickinson (D-NY). His idea was that the seigniorage on new one cent and three-cent pieces would pay the expenses of purchasing and recoining underweight Spanish fractions then in circulation. 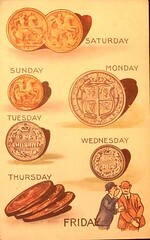 Dickinson’s bill received assistance from the Mint in the form of technical assistance and creation of two pattern pieces: a small cent and a three cent. Eventually Dickenson’s proposal died in committee, but the 3-cent coin remained as part of postal rate legislation. A bonus article, Gold Dollars Used for Jewelry, discusses the use of the gold one dollar and three dollar coins in jewelry. Lastly, an editorial opinion disputes the claim that engraver James B. Longacre was incompetent as a coin designer and die engraver. Special thanks to the Central States Numismatic Society. A grant from CSNS contributed to production of this issue of the Journal of Numismatic Research. Reprinted from The Canadian Numismatic Journal, Vol. 58 No. 10 (December 2013), the Official Publication of The Royal Canadian Numismatic Association, www.rcna.ca. Used with permission. The book’s title originates from London’s Great Exhibition of 1851 and its innovative Crystal Palace edifice. The book’s contents lead to a catalogue array of the official and sundry medals from that early event followed by sections with similar medallic groupings from subsequent exhibitions and other significant events in the relocated Crystal Palace or its counterparts. the Palace’s substitute building in South Kensington, 1862, for the International Exhibition. Each section begins with an Introduction to give its reader the historical background and generalities of the event described or the series of activities held. Following that, the section has a catalogue of the Official Medals, Unofficial Medals, Trade Tokens, and Associated Pieces related to its venue. The 1851 Exhibition building with its cast iron structure and glass enclosure, akin to a massive floral conservatory, quickly attracted its public moniker: Crystal Palace, a name the public associated with the building and the Exhibition as well. This sentiment continued with the subsequent locations and events that derived from the Great Exhibition. Allen acknowledges this in his choice of title. That habitual use of the Palace name explains the segmented catalogue and also the length of time defined for this series of medals. The entire catalogue has over 800 medallic illustrations; these include nearly all of the entries. Pictures are of excellent quality in full-size greyscale. Items are catalogued and numbered by section. Each numbered item shows: subject; maker; metal; size; design; references, and rarity. Many of the Exhibitions’ important prize medals, and medals for dignitaries or officials, have added explanatory information. The author includes pictures and descriptions of specially prepared sets of some Official Exhibition Medals; he also adds comments that help distinguish the souvenir medals, trade tokens, advertising checks, and associated pieces listed. Leslie Allen, a long-time collector and London resident, who developed a serious interest in Crystal Palace medals, discovered that no single reference for this material existed. He set out to rectify that shortcoming by researching and cataloguing these medals. His quest awarded him a surprise: the existence of many obscure Palace tokens and checks known to some few specialist collectors, but mostly unknown to others. These pieces, together with the official medals and souvenir issues he first encountered, form the content of his definitive work. 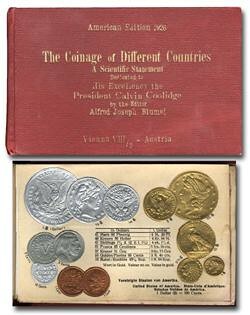 Allen’s catalogue accomplishment attracted the generous support of Coincraft, London, as its publisher. 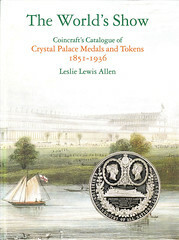 The World’s Show: Coincraft’s Catalogue of Crystal Palace Medals and Tokens 1851–1936 (2000) serves as the authoritative guide to the numismatics of the Palace in its time. The accompanying text complements the catalogue material by including a historical context and offering reference sources. An Index ends the catalogue, and a nominal price guide follows it with suggested valuations for many of the example medals. The book is 8" x 11½" hardbound with a lithographed cover. It has 276 pages on glossy paper. Your RCNA Library has this book for loan to members. 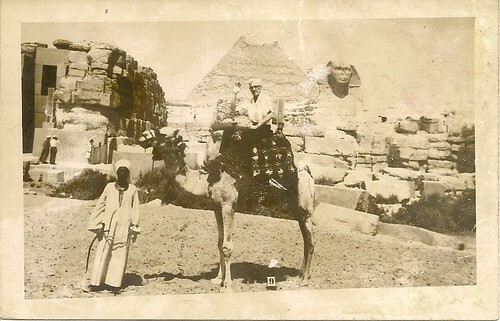 Eric P. Newman began traveling at an early age with his family and has never stopped. During their 74 years of marriage, Eric and Evelyn Newman have literally been from Afghanistan to Zanzibar. The couple has visited, and sometimes revisited, more than 150 countries. Their first journey together took place in December of 1939. While on their honeymoon cruise, they witnessed the culmination of the first active battle of World War II: the scuttling of the German battleship Graf Spee in Montevideo’s harbor. 1947: Peru; 1956: England, Egypt, Ethiopia, Uganda, Belgian Congo, Rwanda, Kenya, Zanzibar; 1963: Moscow, Mongolia, Siberia, Tokyo, Hawaii; 1965: Central, East and South Africa via Land Rover; 1967: Germany, East Germany, Hungary, Russia, Romania, Poland, Denmark, Norway; 1974: Pakistan, Afghanistan, Ireland; 1978-9: Antarctica, Easter Island; 1985: India; 1987: Ecuador, Galapagos, Jamaica; 1995: England—QE2 and Concorde; 1999: Vietnam, Laos; 2003: Cuba. Eric and Evelyn’s love of travel off the beaten path led to numerous adventures. They fondly (yes, fondly!) recall sleeping on top of a dining room table at an airport in India as they waited for the fog to lift in Nepal, their next destination. Later, during the Cold War, the two were shadowed while on a visit to Moscow. On one of at least eight trips to Africa, the Newmans were detained when soldiers commandeered their Land Rover for military use. It was later returned, as promised. Many of their voyages included the acquisition of numismatic items. After a harrowing automobile journey through the Khyber Pass where tribesmen “greeted” them with gunfire, they reached Afghanistan. Eric’s inquiries about coins led to a foray through a maze of alleyways to a shopkeeper near Chicken Street in Kabul. The merchant had a large sack of copper coins, perhaps 5000 pieces, and emptied them out pile by pile, onto his mattress; for eight cents each, Eric had his pick. Among these were some unknown pre- Kushan items. On a trip to New Guinea, they were invited to attend a wedding ceremony. There they exchanged paper money for coins on a blanket next to the dowry pigs. It was a win-win situation for all. The groom’s family was pleased because they didn’t have to tote the weighty coins back to their village; Eric was happy to acquire new material for his collection. Not surprisingly, Eric’s world coins also range from Afghanistan (1925 1/2 Amani) to Zanzibar (1908 Ali Bin Hamud Cent), and encompass nearly everything in between. If studied, all provide a glimpse into a particular place and time. One stellar example from Italy is the 1684 Marcantonio Giustinian gold Osella of 4 Zecchini. Its unique reverse is as breathtaking as the iconic city it portrays: Venice. The viewer sees the Piazza San Marco, the Palace of the Doges, St. Mark’s Cathedral and, of course, the Grand Canal. The undated Basel City gold 2 Ducats (1680-1700) is noteworthy for depicting an elevated view of the Swiss city, with a bridge spanning the Rhine, boats sailing downriver, and multiple spires aglow on the gold surface of the coin. 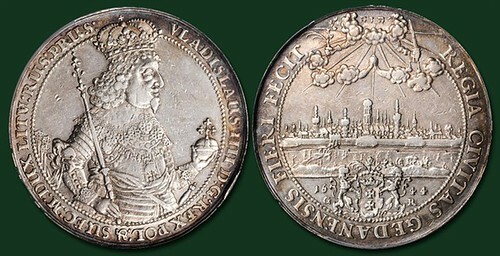 The 1674 Emden Leopold I City 2 Taler is a masterpiece in silver. Remarkably, the foreground shows horses prancing on a small area of land. Ships under sail are seen rocking in the waves of the outer harbor. One boat enters the calm waters of the protected inner harbor; the charming city is seen behind its sea wall, and freewheeling birds circle above. These three city view coins, and others like them, transport the viewer to a precise spot on the globe. Today, captured with a smartphone, these scenes might have a rather ephemeral existence, but here, they are memorialized for eternity. "This coin was issued by authority of Congress in 1787. 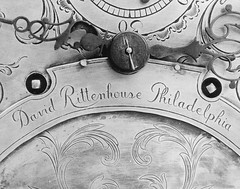 It is generally known as the Franklin Cent, but should properly be called the Rittenhouse Cent, if named after any individual." 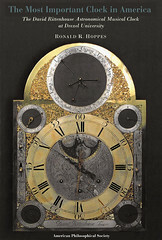 "In the year 1756 he (Rittenhouse,) made an eight-day clock, for his brother in law, Mr. Barton; over the dial plate of which, was engraven this mementory motto -- Tempus fugit; and underneath, this blunt but too often necessary precept -- Go about your business." 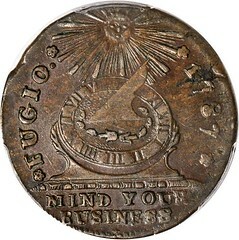 The Barton quote goes on to note that these mottos also appeared on continental currency during the "American war," and on the one cent piece struck in 1787. See Crosby, Sylvester Sage, The Early Coins of America p. 302. Recall that Crosby himself was a watchmaker by profession. Thanks! I'd forgotten about the reference to Rittenhouse. The Franklin connection has drowned it out over the years, but one doubts Crosby only at one's peril. He may be on to something there. What do readers make of this connection? As a sincere reader of The E-Sylum, please accept my hearty thanks for your work. A squad of military payment certificates or even a squad of warnicks (either could also be companies or battalions. I think the collective term for editors should be a "parenthesis of editors." A "comma-d of editors" is beautiful. What was your train of thought coming up with that? Editors fix errors---comedy of errors----comedy of editors---comma-d of editors? Since you spend time putting commas where they belong, try getting people to stop omitting the serial comma. "A, B, and C" is correct. "A, B and C" isn't. It makes me cringe. People come up with all kinds of arguments that say it's optional, but the bottom line, the thing that transcends it all, is the simple fact that a comma shows a pause in speech. I have spoken and am now pausing. Regarding the unwanted dollar coin, having lived for a number of years in England during the days of the big pennies and half crowns, I can state one reason why big coins are not wanted - their edges cut holes in your pants pockets and everything in them goes on the ground when you stand up. The St. George and the Dragon reverse has been revised a number of times. I have a vague recollection that the British Royal Mint produced a commemorative set showing the various reverses. I suspect some E-Sylum reader will have a better recollection than mine. I am doing some research on Hard Times tokens. Does anyone have pictures of the Feuchtwanger cents Low 120, HT-268 dies 3-C and 4-F. Also any contemporary printed advertisements or ephemera of the various issuers? Thanks for anything you can furnish. 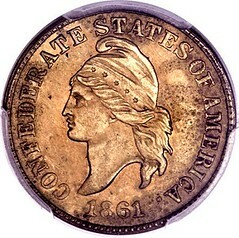 Generations of numismatists have repeated a canon of commonly held beliefs about original Confederate cents, one of which Heritage will be able to offer as a part of the 2014 January 8 – 12 FUN US Coin Signature Auction in Orlando. The maxim still holds true that once a numismatic fallacy is repeated it becomes fact; after it is repeated again it becomes an absolute fact. Very little is known as fact about original Confederate cents. What is known is either 12 or 16 pieces were struck in early 1861. Robert Lovett, Jr. was the engraver responsible. The first appearance at auction was in January 1874. Beyond that, just about everything is open to conjecture. Much of the uncertainty about the original Confederate cents stems from an address made by John Haseltine at the 1908 ANA Convention. By 1908, Haseltine was “one who belongs to the old school of numismatics,” as Henry Chapman considered him. His address introduced several previously unmentioned “facts” about the discovery of the Confederate cents. These so-called facts were listed and debunked in Harold Levi and George Corell’s book The Lovett Cent, a Confederate Story. The greatest concentration of truth about the original strikes of the Confederate cents seems to be clustered around the time of their discovery and the sale at auction of the discovery piece. In Haseltine’s January 1874 sale, he apparently knew some of the facts, but appears to have not known how many pieces were struck. It appears that Haseltine believed the mintage was limited to the coins he had seen. This fact was later clarified by Dr. Maris, who actually owned the coins. In Dr. Maris’ catalog from 1886, he stated “I believe only about sixteen were ever struck.” This number is in line with the number of pieces known today (13), allowing for a loss of three coins over the period of 150+ years. This original Confederate cent has been off the market since 1974. It was bought by the consignor’s father, Dr. Dudley Noble, in April 1974 for $14,995. Mr. Noble died at the all-too-early age of 48. His sons saw the significance of the coin and how it would fit into their collections of Civil War memorabilia that included guns, swords, ambrotypes, tintypes, buckles, buttons, and Confederate currency. MONEY OF THE BIBLE. Kenneth Bressett presents the third edition of his award-winning book, redesigned, updated, and revised for Christmas 2013. Give this beautiful numismatic chronicle of Biblical events as the perfect gift. Coffee-table format, full color. $29.95 at Whitman.com (or call 800-546-2995). Some interesting issues addressed specifically in the New Yorker article are how cases of forged antiquarian books are much less frequent because of how time consuming it can be to accurately reproduce each detail of text within such a book. 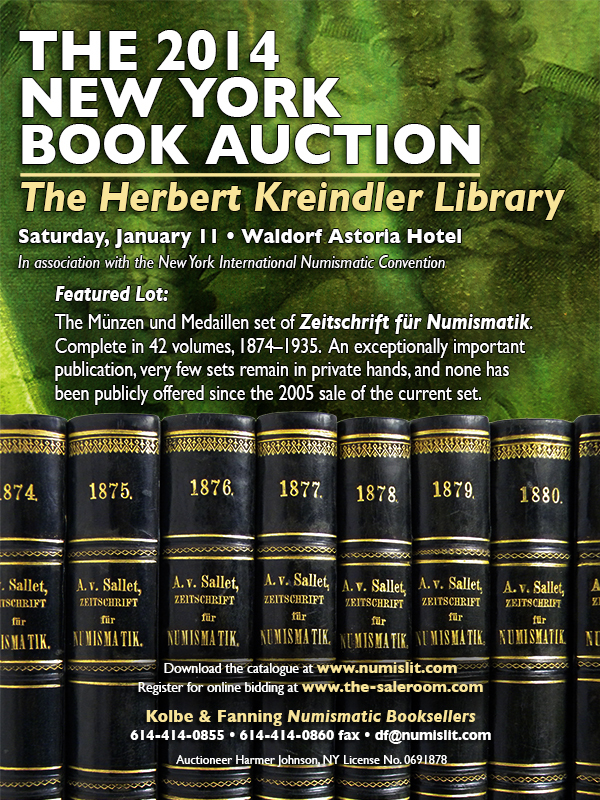 I'd be curious to hear if there have been any cases involving forgeries of numismatic books! (Obviously there are plenty of cases involving numismatic items and counterfeit paper money, but what about books?). It was one of the most dramatic thefts ever to hit the rare-book world, the disappearance of thousands of volumes — including centuries-old editions of Aristotle, Descartes, Galileo and Machiavelli — from the Baroque-era Girolamini Library in Naples. Now, prosecutors at a trial here are trying to show how such a wholesale violation of Western cultural patrimony could have taken place. The very man charged with protecting these treasures, Marino Massimo De Caro, a politically connected former director of the library, is accused of being at the center of a network of middlemen, book dealers and possibly crooked conservators — all part of what prosecutors say is a sometimes corrupt market for rare books in which much is spent and few questions are asked. Apart from Mr. De Caro, 13 others are charged, including a priest. The full extent of the losses is not known — the Girolamini Library lacks a complete catalog — but prosecutors, with some bombast, have compared it to the destruction of Dresden during World War II. In 2012, the authorities recovered more than a thousand library volumes that were found in a self-storage unit in Verona traced to Mr. De Caro. 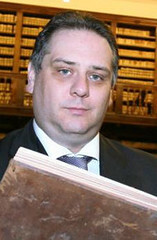 “This is the biggest books scandal to hit in the past 150 or 200 years,” said Fabrizio Govi, the president of the Italian Antiquarian Booksellers’ Association, adding that nothing of this scope had happened since the case of Count Guglielmo Libri, a 19th-century Italian collector who absconded with books on a grand scale. Mr. De Caro and his associates were eventually found out by a brother-and-sister team of whistle-blower librarians at the Girolamini who gave prosecutors video surveillance footage showing Mr. De Caro and his associates removing boxes of books from the library before covering a camera’s lens. The associates traveled to Munich and Paris; the atelier of a conservator in Rome, who erased the marks showing the books’ provenance; and even to Pompeii, where they held a secret meeting with Mr. De Caro. In the widening investigation, in August, police arrested a rare-book dealer in Munich, Herbert Schauer of the auction house Zisska & Schauer, on charges of complicity in receiving books taken from the Girolamini. He is being held in a prison outside Naples and contests the charges. Last week you wrote "With a print-based layout format authors and editors have great control of the exact appearance of their pages. The downside to that is that more work is required to manipulate the layout. Another problem is that .PDF files containing images can grow very large and be difficult to email as attachments." I have seen books of up to 800 pages in PDFs of less than 8 MB. I have had numismatic books of up to 300 pages with very large number of images, to be of 12 to 14 MB. The emails accept up to 20 MB as attachment in most conservative cases so that should not be the reason for avoiding pdf as format for numismatic periodicals. 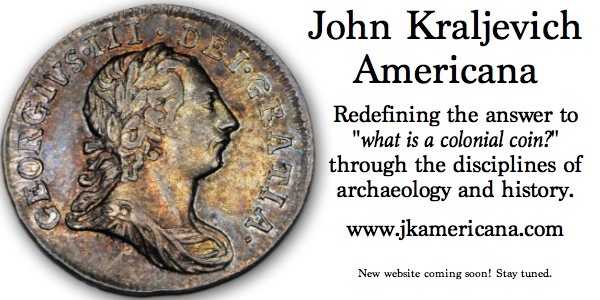 I'm responding to your request for thoughts on issues regarding numismatic publications. I am editor of the International Bank Note Society Journal, which is a full-color, printed quarterly produced for our 2200 members worldwide. Over 52 years the publication has evolved from a small typewritten newsletter run off on a Gestetner copier into the 84-page magazine of today. The core of the publication is a selection of articles on world paper money plus a comprehensive listing and description of recently issued new bank notes. The Journal has always been thought of first as a hard-copy publication. Initially that was because there was no alternative. Members were geographically scattered -- as they still are today -- and could only be reached by a publication sent through the mail. Even today we have some members living in countries or regions where access to reliable electronic communication is a problem. As early as the third issue the Journal began carrying illustrations, which for a topic such as banknotes has always been important. So in our case, the nature of the content plus characteristics of the readership have dictated how the Journal is produced. That doesn't mean we ignore the advance of technology. Articles are submitted electronically from all over the world to an editor based on the west coast of Canada. The edited copy plus photographs are sent electronically to the designers on the east cost of the US. The made-up electronic file of each edition is proofread in Australia, Germany and France. The finished file is sent to the printer in England, and the final printed publication is mailed out of Switzerland. For our 50th anniversary year, a CD containing all the Journals published to that time was produced and distributed to members. Not long before, copies of the Journal began being mounted on the IBNS website in the section accessible only to members by password. With the completion of the CD, all back issues were also added to the website. The files are in pdf format and can be accessed and downloaded using Adobe Acrobat which means the original format of the publication is retained. Given the considerable number of illustrations in a copy of the magazine (in the latest issue there are 153 editorial illustrations, almost all in color, plus numerous color ads), it is necessary to maintain the hard-copy format for the version published on our website. I think the point to be taken from our experience is that the form of any numismatic publication has to reflect the type of content, the frequency of publication (or the "immediacy" of the content), plus the ease of access of its audience. The silver dollar that was to be flipped by President John F. Kennedy at the 1963 Army-Navy game in Philadelphia will be used for the coin toss 50 years later at the 2013 Army-Navy game on Saturday in Philadelphia. 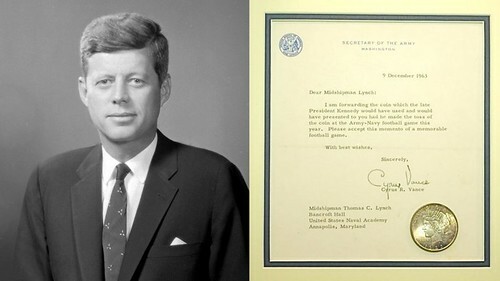 Kennedy was assassinated in Dallas, Texas on Nov. 22, 1963, eight days before he was scheduled to participate in the ceremonial coin toss on Nov. 30 in Philadelphia at the Army-Navy game. Though fans had been anticipating the Army-Navy game for months, it would have been cancelled had it not been for the late president's family insisting that President Kennedy would have wanted it played and on Nov. 26 the Pentagon announced that following a one-week postponement, Army-Navy would take place on Dec. 7. The game was a classic with Navy (9-1) edging Army (7-3), 21-15, thanks to three touchdowns by Navy fullback Pat Donnelly. Army had the ball at the Navy two-yard line when time ran out. A week after the win, an envelope showed up in the mailbox of Navy captain Tom Lynch. When he opened it, he found a silver dollar. Accompanying the coin was a letter from Secretary of the Army Cyrus Vance. I am forwarding the coin which the late President Kennedy would have used and would have presented to you had he made the toss of the coin at the Army-Navy football game this year. Please accept this memento of a memorable football game. On Saturday, Secretary of Defense Chuck Hagel will have the honor of flipping that same coin. 1 - I like this one. I like how it shows movement and embodies the concept of freedom as a freed bird. It's uncluttered and I also like how the figures break the circle of the rim. The design pops out, although I would worry that such an unbalanced design would strike up well. 4 - I'm indifferent to this one. 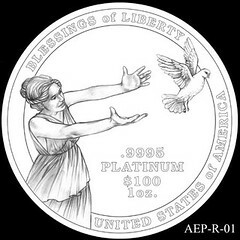 It's nicely rendered, but embodies the "Blessings" more than "Liberty" - design 1 does that much better. I'd have to agree that the bounty is too bountiful. 5,6 - Number 5 is much better than 6; the group of figures stops the eye and frames the scene. The foot is just plain wrong. But as a design concept it's not bad, and a good engraver could execute it well. 7 - I'm indifferent to this one, too. 8 - I like the main figure a lot (it wowed me), but it seems too isolated. There's nothing to indicate where she is, where she might be going, or what she might be looking at. I like uncluttered designs, but this may be too uncluttered. 11 - I was impressed with this one. 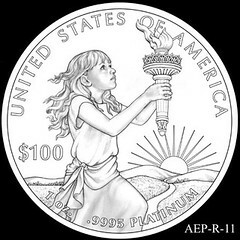 I like the concept of the child and the torch, which to me evokes a young Statue of Liberty. Her expression is hopeful and apprehensive at the same time, which is very appropriate for the difficult journey of Liberty. I think that the landscape is lame - too plain and formulaic. But I like the concept a lot and would say it's my favorite. But I don't think a good engraver could rescue the landscape - it needs a better design. If I had to rank these, I would pick 11, 1, 8,7, 5,4, 6. As it turns out, the Citizens Coinage Advisory Committee (CCAC) liked #11 too. 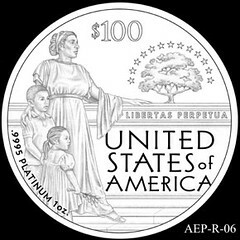 The design of the United States Seated Liberty coinage, which was on the obverse of all half dimes, dimes, twenty cent pieces, quarters half dollars and dollars for more than 50 years has been credited to the U.S. Mint's chief engraver Christian Gobrecht. The fact that Gobrecht's name appears prominently on the base of the first seated liberty coin, the "Gobrecht Dollar" is cited as proof positive of his authorship of this landmark design. This article will show that the design was the vision of mint director Robert M. Patterson and that Christian Gobrecht did little more than execute the detailed design instructions he was given, and that the final design that we all know was largely determined by President Andrew Jackson. Robert Patterson's father was the 4th director of the U.S. Mint and was appointed by Thomas Jefferson in 1806 and served in that position until 1824. On August 24 1814, the British forces burned the U.S. Treasury and White House. Andrew Jackson defeated the British at the battle of New Orleans in 1815, and this victory eventually propelled him to the presidency of the U.S. (1829-1837). During his tenure as president Jackson focused on westward expansion . He believed that the availability of hard currency, as opposed to paper scrip, was key to this expansion, so he developed the branch mints in an effort to expand the availability of U.S. Coinage. He also wanted to reintroduce the silver dollar. Jackson was intensely interested in the US monetary system and the Director of the Mint reported directly to him until 1835. After that , the mint director reported to him indirectly through the Secretary of the Treasury. In 1835, Jackson appointed Robert M. Patterson as the 6th Director of the Mint reporting to Secretary of the Treasury Levi Woodbury who was a former Congressman and strictly a political appointee. At that time the mint's chief engraver was William Kneass. Christian Gobrecht had already achieved fame as an engraver of important medals and had done some independent work for the mint, but was not an employee. William Kneass had a minor stroke in the summer of 1835 and Gobrecht was hired as an assistant engraver to help Kneass. Andrew Jackson's second term as president expired in early 1837 , and he was succeeded by Martin Van Buren who retained Secretary Woodbury, mint director Patterson and Christian Gobrecht, who was promoted to chief engraver upon the death of William Kneass. 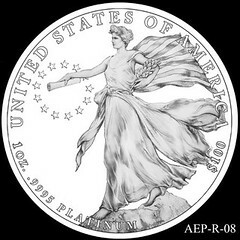 Prior to the appointment of Robert Patterson as the 6th director of the U.S. Mint, No design work had been done on the new silver dollar and there were no designs or patterns involving a seated liberty figure. Once Patterson assumed his new position, he immediately gave instructions and directions to chief engraver Kneass to do a rough seated liberty sketch. He then hired two noted artists, Thomas Sully and Titian Peale, to do more detailed renderings based on this initial drawing. All three of these pieces were done before Christian Gobrecht was hired as an assistant engraver and the commonalities reflect Patterson's specific directions. 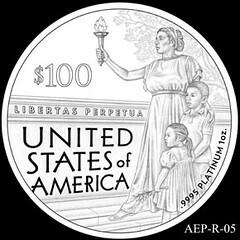 In each case lady liberty is an attractive, feminine figure, in each case she is seated and in each case she is holding a shield in one hand and a liberty pole in the other. These core elements are so key to the final seated liberty design that it is clear that Patterson was the real author. 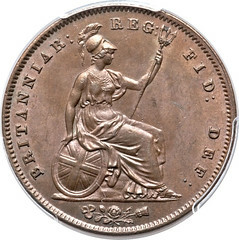 It is a matter of conjecture as to the genesis of his vision, but the similarity to the figure of Britannia on the reverse of the British penny is undeniable. The symbolism of lady liberty holding a shield is clear. 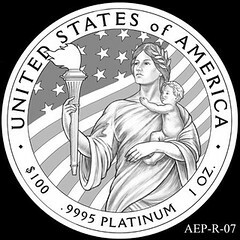 It represents liberty DEFENDING freedom, and this idea had never been represented before on U.S. Coinage. Defending against who or what ? The obvious answer is against the expanding global colonial aspirations of an increasingly dominant Great Britain. Only 21 years earlier, The British army had invaded the U.S. It seems likely that Patterson's seated liberty vision was in opposition to British power rather than in emulation of their design. 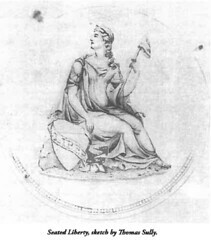 In this regard , it is essential to point out that Patterson's vision was of an attractive, feminine, desirable lady liberty as opposed to the militaristic Warrior figure of Britannia. Liberty was an attractive ideal that would draw people to her, not a concept that had to be imposed by force of arms. Because of his keen interest in U. S. Coinage and the reintroduction of the silver dollar, President Andrew Jackson reviewed the design material for the 1836 dollar through his Secretary of Treasury Levi Woodbury. 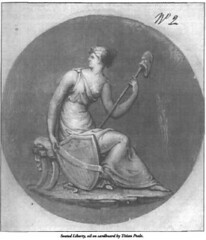 Elvira Clain-Stefanelli, former executive director of the National Numismatic Collection, was responsible for acquiring the letters and sketches of Christian Gobrecht from his heirs. She completed a thorough analysis of all this material and published her findings in an article entitled "from the drawing board of a coin engraver". She writes (p14 "Gobrecht Dollars" by Mark VanWinkle)"
It is inconceivable that the President was only involved at the final stage given his interest in the dollar project. We know that design material for the reverse eagle was being passed up the chain of command on an ongoing basis, so the same must have been true for the obverse seated liberty design. In a letter of April 14 1836 , Patterson wrote to Secretary Woodbury "Your suggestion that the mouth of the flying eagle should be closed had also been made by us to the artist." "Analyzing Gobrecht's sketches, I have reached the conclusion that he started to draw his first sketches after Sully's model at the same time comparing it with the Peale figure. Either on his own inclination or following orders or suggestions from his superiors, probably Patterson himself, Gobrecht adopted some basic elements from Peale." "It was delightfully interesting and challenging to follow step by step...the slow but steady process of Gobrecht himself and his Mint Director to depart from the very appealing design of Sully, creating a more 'lumpy' - to use Woodbury's terminology - figure with a strange forward slump, surrounded by bulky drapery, in the place of Sully's majestic and slender liberty." So it was a gradual evolution, and Woodbury did not like the end result. What about Patterson ? He didn't like Jackson's changes, either. "This is positive proof that Patterson went into a very detailed analysis of the sketches prepared by Gobrecht. He must also have been convinced he was competent enough to judge subtle design elements such as 'the left arm is too prominent' requiring it to be 'thrown back and subdued; the left shoulder was too low and too far from the neck; the right arm was too much in the position of pointing; too much confusion of drapery near the left breast and near the right hand; knees were too lumpy ; their articulation not being shown with sufficient distinctness". What was left for Patterson to criticize ? If Gobrecht executed as he was directed, Woodbury disliked the "lumpy" design and Patterson hated almost all the changes, it is absolutely clear that the final design reflected President Jackson's wishes. He had relentlessly removed all traces of femininity from Patterson's vision of an attractive lady liberty ! Prior to 1836, no engraver or designer's initials or name had appeared on any U.S. Coinage and Robert Patterson came from a family steeped in U.S. Mint tradition. Previous researchers (eg : R. W. Julian) have suggested that Patterson was so enthralled with the design that he spontaneously added Gobrecht's name to the base at the last minute. It has been demonstrated that the Edward Cogan letter on which Julian relied was a complete fabrication. It is clear that the name on base was a prominent visual design element and yet it never appeared in any design drawings. The only possible conclusion is that it was added at the last possible moment....and there was only one person who could have made that decision. President Jackson had final approval authority, and we have shown that he was not the least bit hesitant in imposing his will. The contention that Jackson ordered this unprecedented change is further supported by the fact that it was reversed as soon as Jackson left office in 1837. The same team of Gobrecht, Patterson and Woodbury was in place, but Gobrecht's name never appeared on the 1837 seated liberty (same design) dime and half dime even though these coins were so small the name on base would not be noticed. 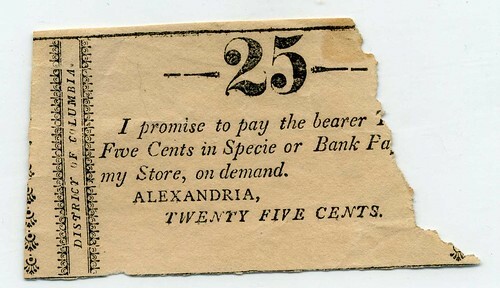 Nor did it appear on any 1838 or 1839 Gobrecht dollars! It never appeared on any of the subsequent seated liberty coinage. The only thing that changed was the departure of Jackson. While it is speculation as to why Jackson made such an unprecedented last-minute design change, it seems likely that it was in direct and immediate response to Patterson's insubordinate letter. It is hard to believe that these two simultaneous events were not related. I believe that after Jackson left office, Patterson and Woodbury moved to correct the seated liberty design to the limited extent possible given that it had been approved and executed. 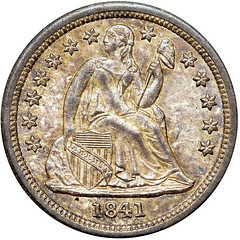 They had some flexibility on the minor coinage (half dimes and dimes) beginning in late 1838 where minor modifications would scarcely be noticed by the public and the unified seated liberty design would still appear to be maintained across all denominations. The changes made corrected most of the structural flaws detailed in Patterson's critical note of mid Jan 1836. The shield was moved to an upright position enabling the arm holding the shield to be closer to the body . The pointing hand was changed to a holding hand and the entire liberty figure was restored to a more upright posture. Finally, Liberty's face was changed to be more feminine and attractive. All the changes that Patterson wanted to make were made, except for the elimination of the drapery on the left and right sides, which would have restored the attractive, feminine lady liberty of Patterson's vision. It is likely that this last step would have resulted in a design too far removed from the rest of the seated liberty coinage. 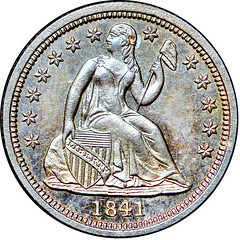 The 1841 No Drapery proof only dime has remained a mystery to this day, with no theory as to what it is and why it was produced. 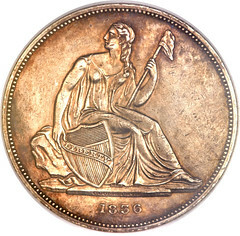 This mysterious coin takes the 1838 With Drapery dime and removes all the excess drapery on the right and left sides of liberty , restoring her feminine beauty. 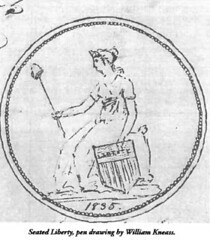 This analysis shows that the 1841 No Drapery dimes address every single one of the design flaws listed by Robert Patterson in his critical letter and returns the seated liberty design to his original vision. Surely, this is not just a coincidence! I believe that either Patterson ordered the design to be executed to ensure his vision would not be lost to history....or it was executed for him by Gobrecht. In either case, it appears that one of these carefully executed proofs (Pr 67 +) was placed in a minor silver proof set for Patterson's mint collection (ref: Numismatic Review 1, 3:29 (1943)). This set would have shown Patterson's vision....the no drapery dime, flanked by the upright shield half dime on one side and Jackson's design on the quarter on the other side. Provenance: "bought 20 years ago in an antique store in Ohio." The artistic license of the guy who painted the brick ought to be revoked, but getting past that, the label is interesting. It is in the style of pre-WWII museums, and it would appear that someone thought highly enough of its significance to carefully record the brick's provenance and put it in display. No way of knowing, of course, if it is a real first Mint brick, or if it indeed came from the chimney of the Rear Building, but certainly an interesting artifact of the Stewart demolition. This might not be an artifact of the Stewart demolition. The Mint periodically disassembled the smelting furnace chimney to collect gold deposited on the bricks from vapors in the flue gasses. Someone may have found the brick interesting for that reason and preserved it while the Mint was still in operation. I believe it might be possible to confirm it is the right type of brick for the era. I see no way to prove its origin. I am working on a new theory. 1. The First United States Mint ceases operations in 1832. 2. The smelting furnace chimney is dismantled one last time and the bricks are cleaned and scraped to collect any trace of gold. 3. Samuel Moore takes some of the bricks home with him. He has them coated in shellac and painted with a red. white and blue ribbon. Some type of seal is added to the red spot, since missing. 5. Following his retirement from the Mint in 1835, Moore appears between acts at the local theater offering the bricks for sale. "As former Director of the Mint I can certify that this is an authentic gold brick taken from the United States Mint. It has been layered in .999 fine gold and encapsulated in a protective shield of shellac. This unique relic is preserved in Mint State, as fine today as the day it left the Mint. For a limited time only, this brick will be offered in the lobby of the theater following tonight's performance." I believe my theory fits all the known facts. Therefore, it must be true. Not only is your theory undeniably true, the protective coating of shellac applied by Dr. Moore is extremely significant, for it demonstrates that Moore was the originator of the encapsulated numismatic artifact. I am willing to bet that further investigation will reveal that, after leaving the Mint, and before becoming the CEO of a coal company, Dr. Moore was the founding President of MBGS--Mint Brick Grading Service. I am convinced that its ultimate failure can be laid at the door of the stiffness of 19th century adjectives--instead of "blast white," Dr. Moore marketed bricks described as "Nearly, nay nigh unto red." Yes, for silver coins, "blast white" is a desirable appearance. However, for copper coins, the standard is "brick red." Perhaps this is the red brick used to set that standard. Members of the Nummis Nova dinner club sponsor an event for young coin collectors at the semi-annual coin show at the Northern Virginia Community College in Annandale, Virginia. In December we worked against winter weather and a missing tote of important stuff to pull off a grand event nonetheless. We invited back the fabulous speaker who spoke last time on local trade tokens, the eminent Eric Schena, who spoke about local currency this time. As Eric drove through an ice storm from out by West Virginia; at 11:00 AM, our start time, he was still on the way. 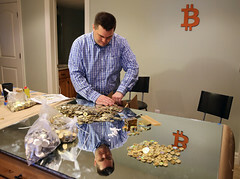 Jon Radel and his son brought the tote of donated coins and tokens but the tote with the “auction bucks” remained at an undisclosed location in Herndon, having been overlooked. Kids who collect coins, being especially gifted among their peers, as we all know, would be quite capable of this mischief. For example, they had little trouble identifying Justice John Marshall and President Zachary Taylor from tiny vignettes on Eric’s banknotes, so future speakers, be prepared for lively discussion. Great discussion about coins is a Nummis Nova objective and why we take delight in providing this event. We have never been let down in this regard, nor do we expect it. Twenty five auction lots (sized in number based on the number of kids) were selected from the donations, including a wide universe of objects, that quite frankly interested the adults too, such as a beautiful, nineteenth century badge from an unknown fraternal organization (given away with the assignment to identify it), scarce trade tokens, elongated cents, medals, silver and copper U.S. nineteenth and twentieth century coins, foreign coins from colonial times up to the modern day, and as a surprise, a pair of genuine twenty dollar bills, released at the end of the auction to see which kids had the patience and auction strategy to wait before they leap, pool resources, and cut deals with siblings. Devilish, no? Eric showed fine images of rare local bank notes from Alexandria, Fairfax, Leesburg, Winchester, and points south, issued from the War of 1812, up through small sized, National Currency of the Great Panic (correction “Depression” as Roosevelt termed it) of 1929. Eric explained that many original bank buildings, such as the Athenaeum in Alexandria, which one can visit today, were the source of exchange for some of these rare notes. As Eric talked he asked the kids questions about banknotes of exigency, such as the cute, Leesburg “Dog” Notes printed on lined notebook paper. Unknown to Eric, who was obliged to pay auction bucks to the kids for participation, we ran out of business cards, our stock for manufacturing “Series Two” Auction Bucks. Thinking quickly and working in haste we found a roll of old register tape and were in fact fabricating “Series Three” Auction Bucks, on torn strips of paper. They were not pretty, but with cross authenticated initials, they served Johnny-on-the-spot. Eric had to smile as we began to hand him some of these “hasties” as they were a perfect and timely counterpoint to the lesson at hand and illustrated his talking points well, about what happened among wildcat banks of long ago. So E-Sylum readers, for some “virtual auction bit-bucks,” backed by your good faith in our sketchy intentions to ever redeem them, see if you can answer one of the kids questions posed by Eric. In what year did Washington City, the original twenty mile square diamond shaped, “District of Columbia” lose all the land in Virginia, including Arlington and portions of Alexandria? Eric showed a neat example of a Washington City bank note from a Virginia town. Exchange Bank of Seldon Withers & Co. Extra credit for the adults now, what Virginia banks issued Washington City banknotes? What did they term the event where Northern Virginia’s land was carved away from Washington City, leaving the present day bounds of Washington D.C. with a big bite missing below the Potomac? One question sadly had no answer; “where can children see and learn more about these local banknotes?” Most museums do not have them to display and most web sites are dealer-oriented, about their sales price, and not about their lore and legend, that Eric speaks of so enthusiastically. I leave it to Eric to judge the veracity of any responses from the readership to the questions above, and to bestow virtual auction bit bucks as they may be earned. While Kathy and I were away in Europe, my Sunday night reading still consisted of The E-Sylum. The item about Jesse Owens was interesting but there is another numismatic connection that only a few people remember. Jesse Owens served as a spokesman for the Canadian Olympic Coin Program from 1974 to 1976. He was a self-effacing man. Perhaps a little down on his luck, but there wasn't anyone who met him who didn't like him immediately. I met him (see photo) and worked with him (I was also a paid consultant) and I must say that in and of itself was a thrill. I called him 'Mr. Owens' the first time we met and he disabused me of that notion ("Call me Jesse"). I was proud to know him, proud to work with him, and almost 80 years later his accomplishments speak for themselves. Thank you for the coverage of the Jessie Owens medal sale. 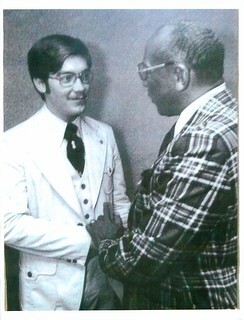 I had the honor of shaking Mr. Owens' hand at the offices of Paramount International Coin Co, in Englewood, Ohio in the mid-1970's, when Paramount was rolling out the 1976 Montreal Olympics coinage program and Mr. Owens was present as a spokesman for the program. I attended as part of the Coin World contingent from nearby Sidney. An article posted December 2, 2013 in The Times of Israel caught my attention among many articles of interest in issue #825 of David Meadows’ “Explorator”. The headline “Oldest reference to Bohemian king found in Acre” was bolstered by a coin image purportedly representing a four-year-old archaeological excavation find that has suddenly become a stunning revelation. The coin in question is a medieval denier, a small silver coin of the Crusader era. 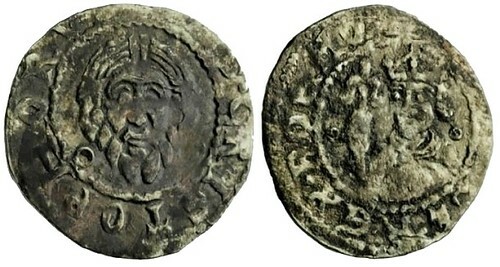 It bears an image of St. Christopher on the obverse and of a Bohemian king on the reverse (at least as described and illustrated). As the article goes on to explain, this is quite an anomaly both historically and art historically. Unable to properly attribute the coin in-house, the Israel Antiquities Authority called upon experts at Oxford and in Poland for assistance. The expert conclusion was that the coin is a completely new and unexpected combination of types and may be tentatively assigned to the reign of King Premezi Ottokar II (AD 1253-1278). The article does not state whether these expert numismatists examined the coin in hand or whether they merely worked from a copy of the IAA photo that was published along with the article. One might presume in this day and age of high definition photography and electronic transmission that the latter could well have been the case. The article photo is credited to Clara Amit, IAA photography department. The expert commentary quoted in this cited media report deals mainly with general historical background, coin circulation and trade patterns. Having photographed literally tens of thousands of ancient coins in my 50 years as a professional numismatist, and stitched together twice that number of images, it doesn’t take a monumental change in content for me to sense that something may be out of place. It’s a survival instinct of sorts, because collectors tend to get a little miffed (and rightfully so) if the coin they receive in the mail is not the exact coin pictured in a sale. When I saw the IAA image in this article that instinct raised a red flag. Something seemed wrong. Upon closer examination, one will note that the obverse appears to be pierced in the lower left field but there is no corresponding hole nor sign of even partial penetration on the reverse. 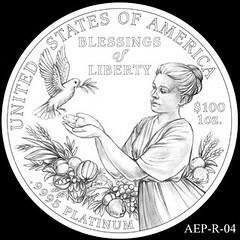 Copying the reverse image, inverting it, reducing the opacity, and placing it over the obverse image one can see immediately that the obverse and reverse are different sizes. That in itself might simply be a case of the separate obverse and reverse photos not being sized correctly, but rotating the overlay image reveals that the two images are not of the same shape either. One might therefore be inclined to conclude that either the obverse and reverse photos are of two different coins or that there has been some alteration of the images—something that would not be expected from professional archaeologists. One of the most popular way to collect world coins is by focusing on topical coins: coins with birds (or other animals), Biblical references, mythological beings (i.e. the Wildman and others), and for the subject of this article, city views. From the 17th to the 19th centuries, various German States and Swiss Cantons, Poland, and other locales issued coins that feature intricate depictions of “skylines,” and in many cases, they provide an accurate record of their growth. These beautiful coins make for a wonderful collection and can be found in gold and silver, with Talers the most often collected as they are large sized, but affordable for most collectors. Personally, these coins are among my favorite areas of world coin collecting, because of their masterful engraving and intricate details. The diversity of types, from minor coins struck in billon and silver, to Talers, and gold coins from Ducats to 20 Ducats, means there is room for a City View type coin in any collection of European coins. Our January New York International Sale has a fine selection, including a very rare Danzig (Poland) Donation (Donatywa) Taler, 1644-GR, struck from the dies of a 10 Ducat gold coin and graded EF-45 by PCGS and housed in a Secure Holder. These Donatywas were struck in the cities of Danzig, Thorn, Elblag and Riga as tribute and gifts to visiting monarchs and other dignitaries. Struck in both gold and silver up to 20 Ducats, they are very interesting and rare. This coin is from an old collection, and is freshly graded and offers a very important opportunity for the collector of rare Polish coins; indeed, less than a handful have sold at auction in the last few years, and those were offered in Polish auctions. We are also offering the following City View coins in our New York International Numismatic Convention Sale: A Taler of Augsberg, dated 1640, graded AU-58 by NGC; a Taler of Mainz, dated 1795 in AU; a 6 Ducat gold piece from Munster, dated 1661 with AU Details (PCGS); and a Taler from the Swiss Canton of Basil, dated 1741 and graded PCGS AU-50. There are a couple of silver medals that portray city views as well. Running out of cardboard coin holders? Buy cardboard 2x2s for your any need. 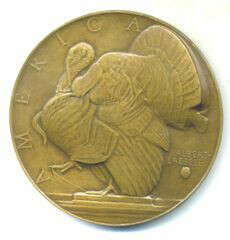 AMERICAN TURKEY - SOCIETY OF MEDALISTS ISSUE #10, 1934. 73.3mm. Bronze. Albert Laessle, Sc. (Medallic Art Co.). Uncirculated. Obverse: American turkey. 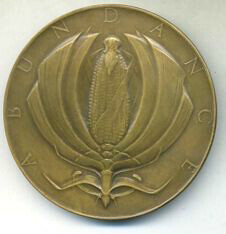 Reverse: Abundance, corn stalk. 1,021 struck. 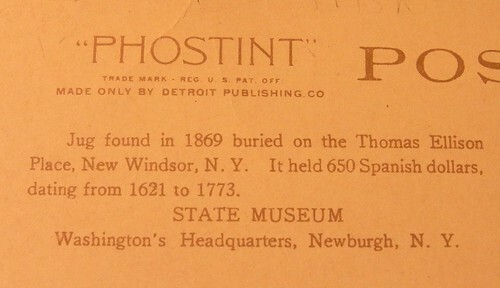 Original pamphlet. The artist’s intent was to symbolize the abundance of America. “On the obverse is the turkey. Native to this country, it is especially connected in our minds with Thanksgiving, for it was a gift of the new world to the early settlers. ... I have depicted the turkey with ruffled feathers, in pride and the vigor of its youth symbolizing the growth of Young America. 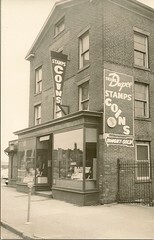 I started a new hobby of Old Postcard Collecting, but tied in with Numismatics, so I look for century old postcards that feature money as a theme. Dug Coins - First is a hoard of Spanish Dollars with their earthenware container that I wonder if anyone might know more about. See the second picture of the back of the card for details. Does anyone know more about this recovery, that was famous enough back in the day to make it onto a postcard? Deficits - Second are jolly reminders for home to send money or the card senders may return prematurely. Nice! 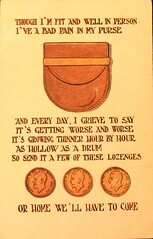 Does anyone have more examples of money themes on postcards? 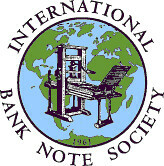 This week's Featured Web Site is the International Bank Note Society (IBNS).